Anita Jo Intenzo-Haunted Author: PENNIES FROM HEAVEN? I wrote several blogs last years with the phenomena of dealing with ghosts or spirits leaving gifts for us to find and the response of readers was compelling. So, I wanted to update this particular blog because of my recent experiences and share with everyone on this topic. Although I will be talking here about coins/money objects left to people seemingly random and with no explanation can be ribbons, threads, feathers, and jewelry. We have all heard the phrase and song, “Pennies from Heaven.” What would you say if that was really true? What if money just materialized from thin air? Is there a connection between coins, the newly deceased and ghosts? What is the connection between coins, the newly deceased and ghosts? 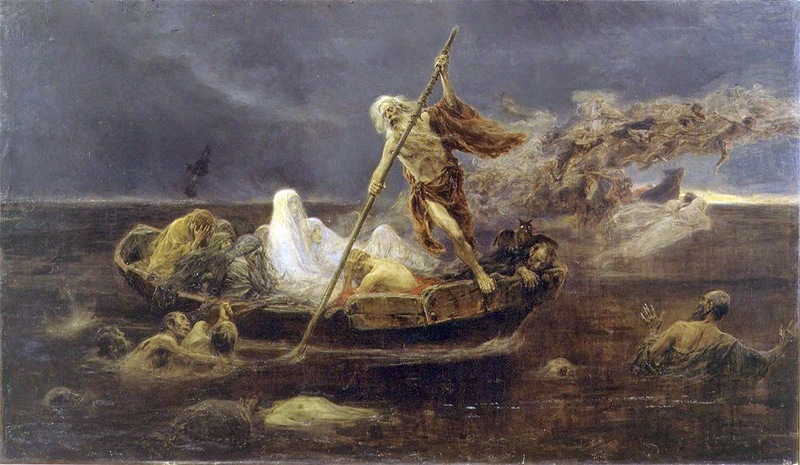 In Greek mythology, Charon is the ferryman of Hades who carries souls of the newly deceased across the rivers Styx and Acheron that divided the world of the living from the world of the dead. Usually a coin was sometimes placed in or on top of the mouth of a dead person to pay Charon for passage. Some authors say that those who could not pay the fee, or those whose bodies were left unburied had to wander the shores for one hundred years. This ancient tradition continues today as some cultures still place coins on the eyes of the deceased before burial. Do spirits leave pennies around for us to find? In my experience I would have to answer, YES! I have been finding pennies and other loose change on the ground and other places all my life, but never gave it a thought that it could be a loved one who had passed on to the other side and was trying to get my attention. I just thought I was the lucky recipient of some unfortunate person dropping their money. I wasn't that familiar with this phenomenon at all. It really became apparent that this could be something of the supernatural realm after my experience at my friend’s house when we had coins being tossed around the room and against the wall. Although this is unusual occurrence, it seems this is a common sign from spirits. 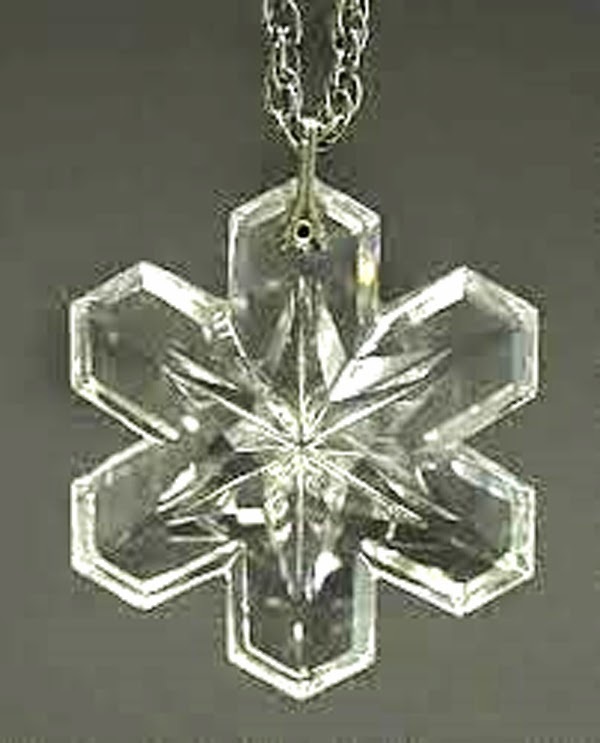 We had a number of objects thrown during the time at my friend’s “haunted house” and pennies were among them.I will never forget the day a crystal pennant that drop on me from the ceiling in his house! How about not just coins but paper money! Have you ever found a dollar bill right in front of your path or a $10.00 bill blow in front of you? I have! And I am not alone. I was a guest on a radio show the other night and psychic medium Toby Greynolds was on the show with me and he told me of his experience of finding $20's and $100.00 bills and he feels they are from his deceased father. All I can say is WOW! 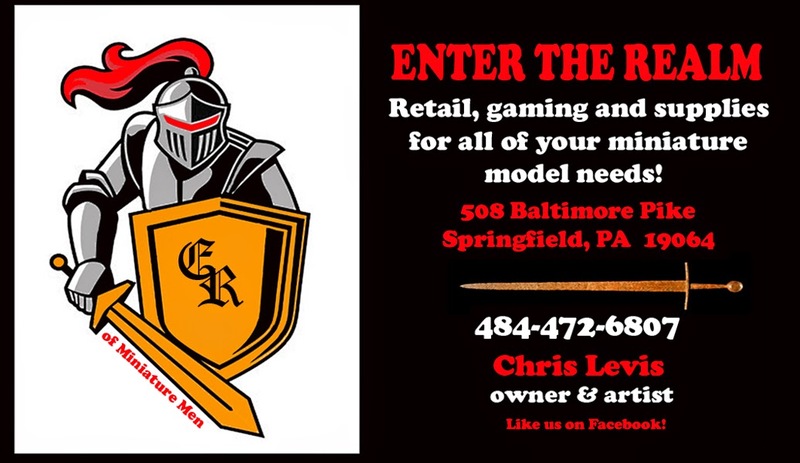 Most recently my son and I have started a business venture and will soon be opening a miniature model hobby and gaming store. 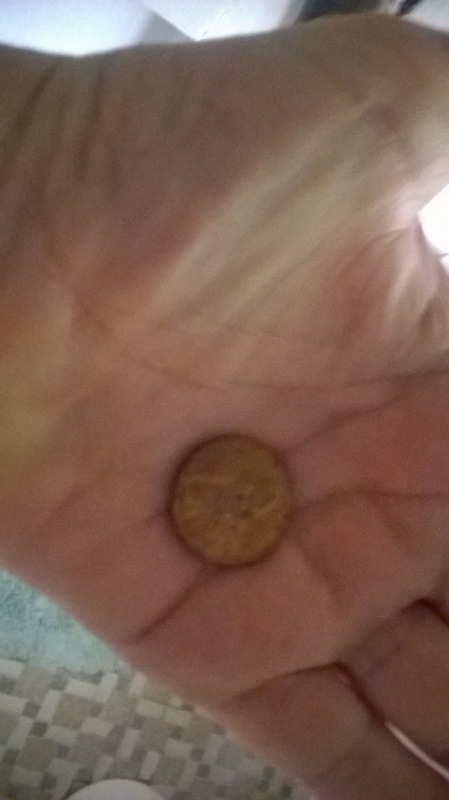 The day we signed the lease for the building, we found a penny, heads up, on the floor and it had not been there before. Then I found a penny in the utility closet on the shelf and I know it was not there the day before. We now have started collecting pennies in a jar as every time I get out of my car heading to our store I found a penny! The other day as I was leaving a "Dollar Tree" store I found a dollar bill in my path to my car. AND I went to the bank this morning and found a penny, a dime and a nickel on my path to the bank. So, if pennies are from Heaven or from a ghost, then what is the spiritual significance of finding dimes? Yes, we have been finding those too. 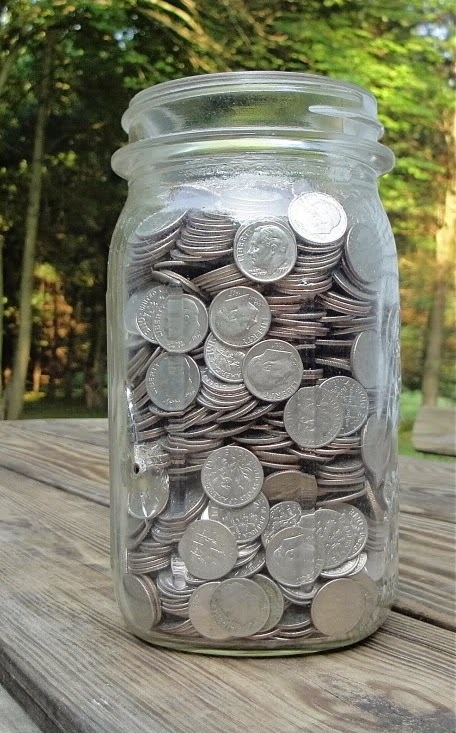 A dime has ten pennies within it. After doing some research, apparently some consider the number 10 means, “We reap what we sow.” Ten can also mean fulfillment or completion of something. What dimes and pennies mean to me may not be of significance for you. There’s no right or wrong interpretation. 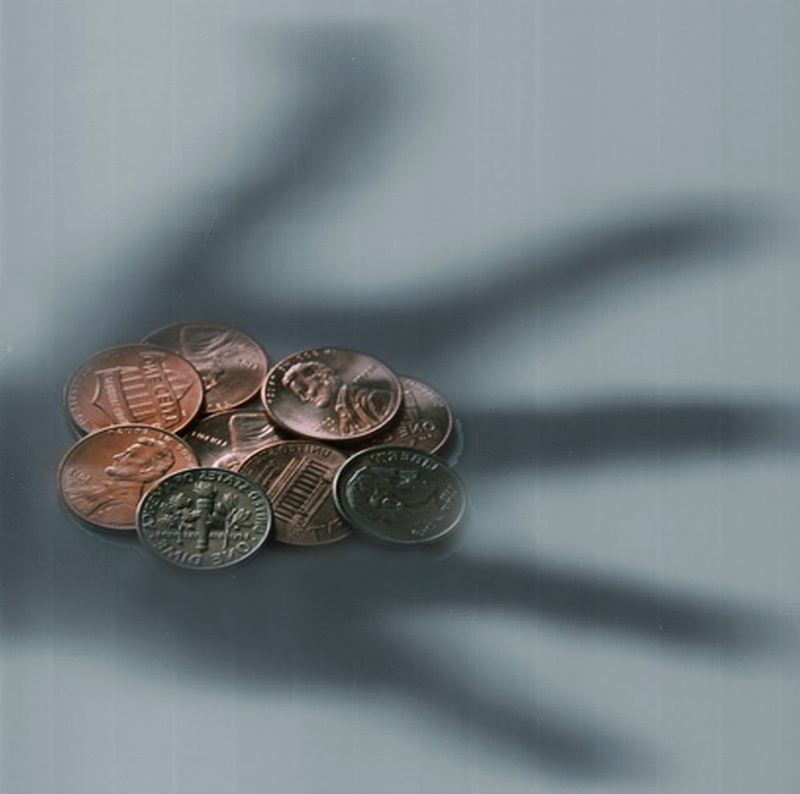 No matter what your interpretation is, finding loose change around is supposedly a sign from the spirit world. So is it a deceased loved one leaving the money? Is it a member of my family trying to communicate with me or just some random coincidence? I don’t have the answers only my experience to share.I like to think my mom and dad are giving their blessings to our business venture as they were entrepreneurs in their lifetime, and letting us know they approve. My dad especially would have loved the medieval theme to our store. I have an oil painting my dad did when he was a young man before going off to World War II, of a knight on a horse ready to joust. By the way something new has been added to the well wishing from our spirits. 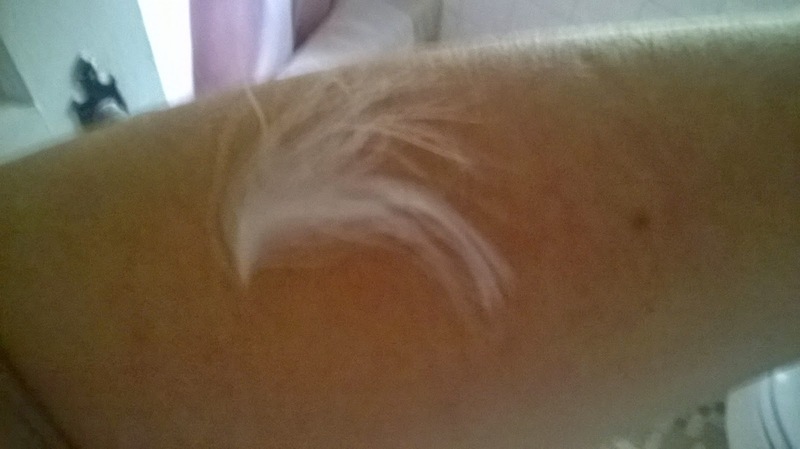 This morning I found a white feather stuck to my arm when I got up this morning. I was in the bathroom and felt something touch my arm and there it was! I have no explanation for this! There are just too many people with the same personal story of receiving “Ghost Money” or other tokens of good fortune for it to be just a freak occurrence. Our failure to recognize or comprehend this is no one’s fault. Only recently do people feel comfortable enough of telling of these unique supernatural experiences and not fear being told they are crazy. We’re not! Maybe one day science will be able to explain this phenomenon to us but for now if you feel you are being left “Pennies from Heaven” just thank the spirits or a loved one who sent it. They are listening.